Tampa Bay? There's an app for that. Tampa Bay? There&apos;s an app for that. You can now carry around everything you need to know about visiting Tampa Bay in one device. 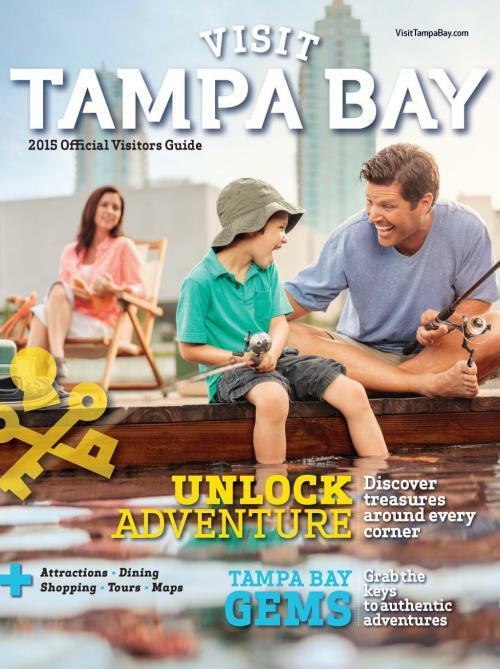 Visit Tampa Bay&apos;s 2015 Official Visitors Guide is now available as an iPad app. Apple posted the app to its iTunes store this weekend. This is the second year the 80-page guide to discovering Tampa Bay&apos;s treasures has been released in digital format. The guide lays out the gems that make Tampa Bay a unique, exciting destination for visitors of all stripes. Two centuries of history? We&apos;ve got that. Up close encounters with everything from sharks to giraffes to manatees? We&apos;ve got that, too. Boutique hotels and award-winning restaurants? Check. The Visitors Guide breaks the region down by districts, highlight all that neighborhoods like Ybor City and West Shore have to offer. But the iPad app is just part of Visit Tampa Bay&apos;s digital presence. We&apos;re also busy on Facebook, Twitter (@VisitTampaBay), Instagram and YouTube. Follow us in any of those places to stay up-to-date on the latest trends and events to #unlockTampaBay!